Cross Shareholdings in Japan: A New Unified Perspective of the Economic System, Cheltenham, Glos., UK, and Northampton, Mass., USA: Edward Elgar Publishing, 2002. The Structure of the Japanese Economy: Changes on the Domestic and International Fronts, editor and author, Macmillan Press, 1995. The Evolution of the International Monetary System: How can Efficiency and Stability be Attained?, ed. 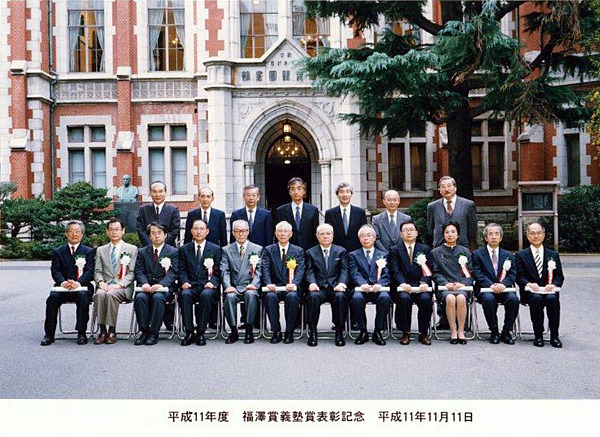 with Y. Suzuki and J. Miyake, University ofTokyo Press, 1990. Toward a World of Economic Stability: Optimal Monetary Framework and Policy , ed. with Y. Suzuki, University of Tokyo Press, 1988. 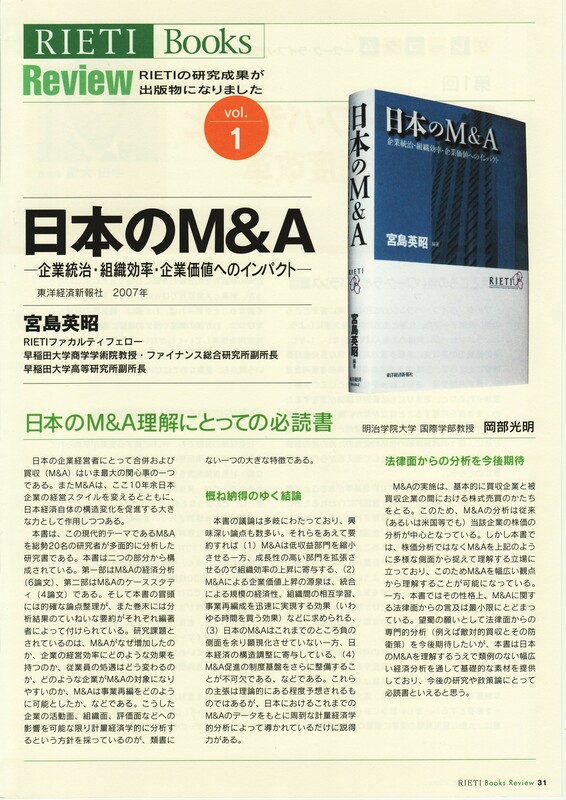 "The Financial System and Corporate Governance in Japan," Corporate Ownership & Control 3 (3), Spring 2006, pp. 27-38. "The Financial System and Corporate Governance in Japan," Policy and Governance Working Paper Series, No.17 : The 21st Century COE Program, Keio University Graduate School of Media and Governance, 2004. "Monetary Policy in Japan: A Perspective on Tools, Transmission Channels and Outcomes,"in M.　Okabe ed., The Structure of the Japanese Economy(above book),1995.
copyright 1995-2010 Okabe Mitsuaki, All rights reserved.